The Morgan Library & Museum, New York, Purchased by J. Pierpont Morgan, 1906. WASHINGTON, DC.- In the first comprehensive exhibition on the evocative medium of metalpoint—the art of drawing with a metal stylus—some 100 works showcase the surprising range of effects created by master draftsmen for centuries. On view at the National Gallery of Art, Washington, from May 3 through July 26, 2015, Drawing in Silver and Gold: Leonardo to Jasper Johns includes works from the Middle Ages to the present, on loan from major museums in Europe and the United States, with nearly half on loan from the British Museum, London. "Artists since the Renaissance have used metalpoint to create some of the most magnificent and technically accomplished drawings in the history of art," said Earl A. Powell III, director, National Gallery of Art, Washington. "We are delighted to present this exhibition in collaboration with the British Museum, and hope that these discoveries and the beauty of the drawings will appeal to scholars, artists, and visitors." An artist working with metalpoint draws with a metal stylus on a specially prepared surface. As the stylus travels across this slightly abrasive ground, it leaves behind a small amount of metal, creating a shimmering line. Almost any metal can be used, including lead, tin, and even gold, but silver is the most common choice. Often regarded as an unforgiving material suited only for skilled artists and delicate subjects, metalpoint actually enables the artist to achieve a surprising range of effects, from bold sketches to meticulously detailed studies. A display case within the exhibition includes tools and materials as well as an explanation of the techniques and process of the metalpoint medium. The Gallery has produced a short silent film, on view in the exhibition, which demonstrates the medium's technical intricacies. Organized chronologically, Drawing in Silver and Gold showcases the practice of metalpoint in the work of artists ranging from Leonardo, Albrecht Dürer, and Rembrandt to Otto Dix and Jasper Johns. While the exhibition offers fresh insights into well-known works of the Renaissance by the artists most commonly associated with the medium, it also sheds new light on other periods and regions, such as 17th-century Netherlands, Victorian Britain, and the continued exploration of metalpoint by modern and contemporary artists. 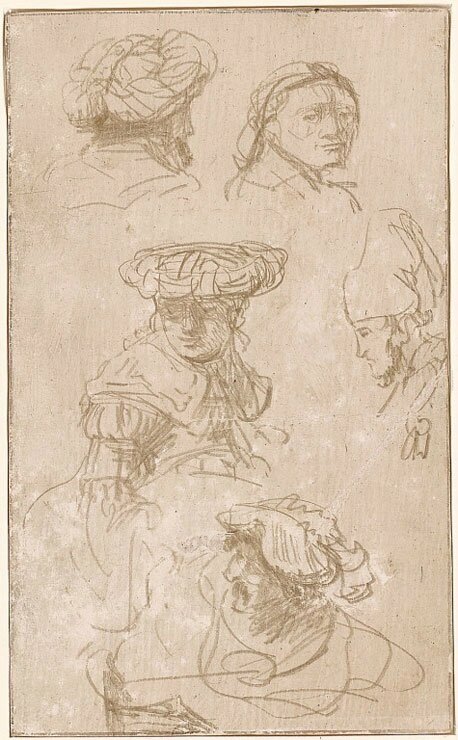 "Viewing the technique of metalpoint in this broad context provides a unique opportunity to recognize patterns in drawing practices and affords a striking demonstration of the versatility of the medium," said Stacey Sell, associate curator, department of old master drawings, National Gallery of Art, Washington. "Even to curators and conservators with years of exposure to this medium, these drawings seem almost miraculous." 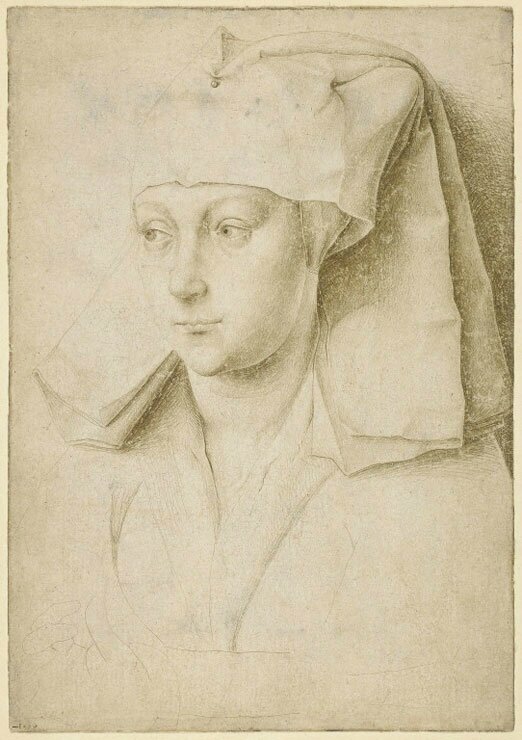 The exhibition opens with some of the earliest and most renowned examples of the medium, such as Portrait of a Young Woman (c. 1435/1440), the only drawing generally attributed to Rogier van der Weyden. Netherlandish Renaissance draftsmen took advantage of the medium's subtlety to create stunningly detailed depictions of the human face. The durability of metalpoint made it ideal for recording and transmitting workshop motifs. The exhibition includes a rare boxwood model-book by Jacquemart de Hesdin, as well as a number of Netherlandish silverpoints that were made for this purpose. The permanence and portability of the medium also made it popular for sketchbooks, especially with German Renaissance artists. 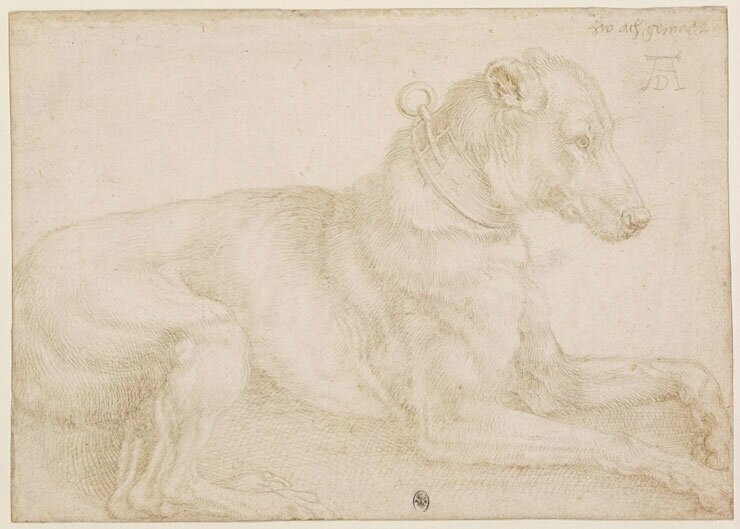 Three sketchbook pages by Dürer, most notably the sensitive Dog Resting (1520), as well as examples from other artists over the centuries, are on view in the exhibition. 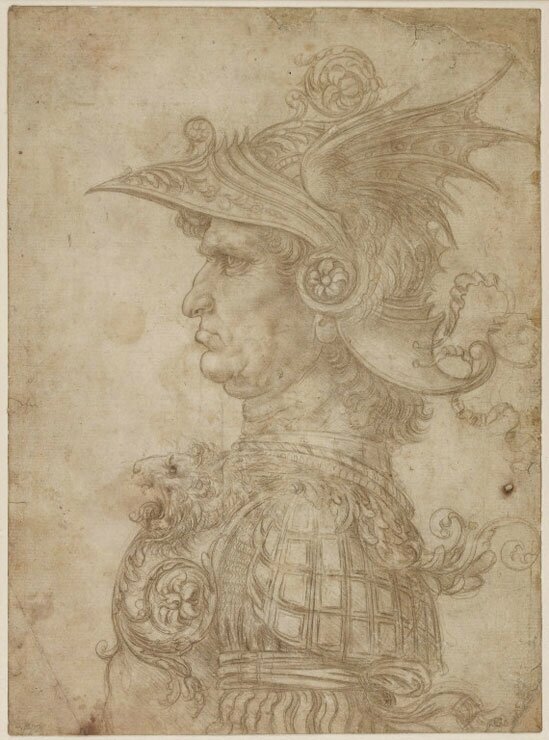 Four works by Leonardo are featured in the Washington exhibition, including Bust of a Warrior (c. 1475/1480), one of the most widely admired drawings in the history of art. 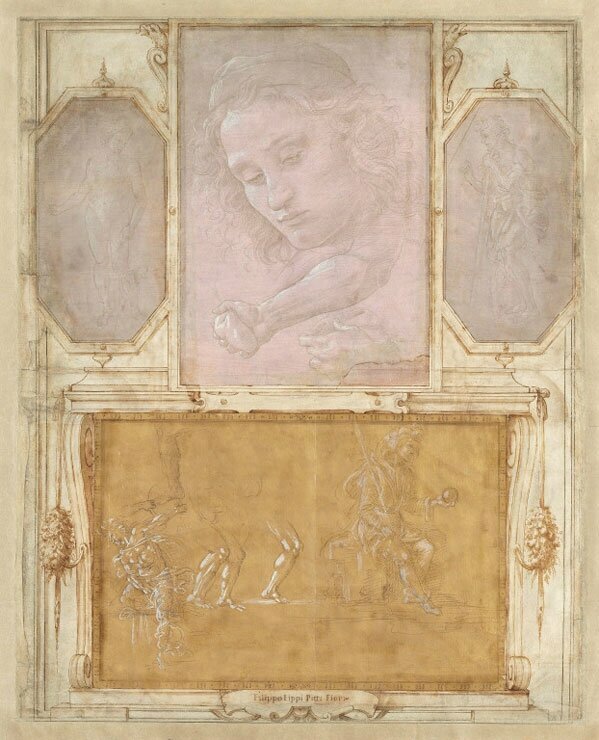 The Italian Renaissance section also includes a spectacular selection of silverpoints by other masters, such as two sheets from Raphael's famous "pink sketchbook." On loan from The British Museum, London © The Trustees of The British Museum, London. 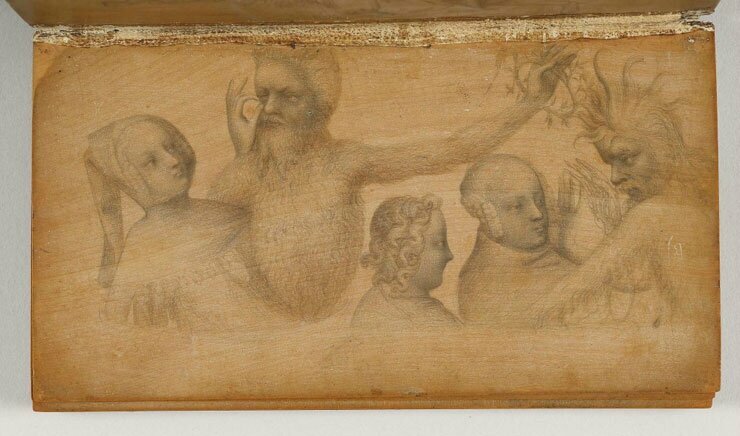 Filippino Lippi, Sandro Botticelli, and Raffaellino del Garbo, Page from “Libro de’ Disegni,” drawings probably 1480–1504; mounted by Giorgio Vasari, album page with drawings in metalpoint and various media, National Gallery of Art, Washington, Woodner Collection, Patrons’ Permanent Fund. 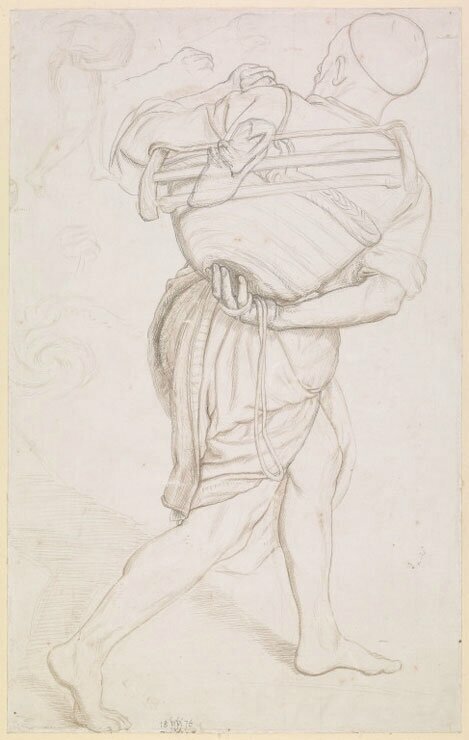 silverpoint on prepared paper, On loan from The British Museum, London, Bequeathed by Richard Payne Knight, 1824 © The Trustees of The British Museum, London. 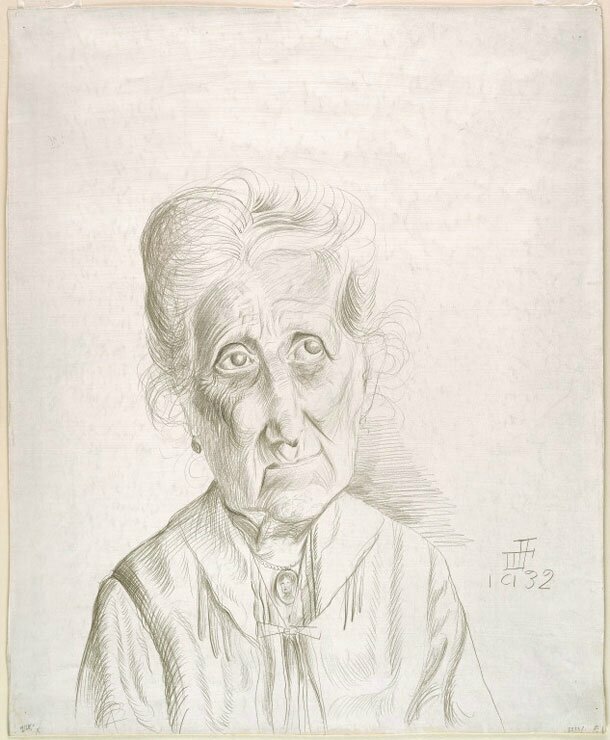 Drawings by Hendrick Goltzius and Rembrandt, who represent the last flowering of metalpoint before its decline in the 18th century and subsequent revival by Victorian artists such as William Holman Hunt and Edward Burne-Jones in the 19th century, provide the opportunity for new investigations of these less frequently studied periods. 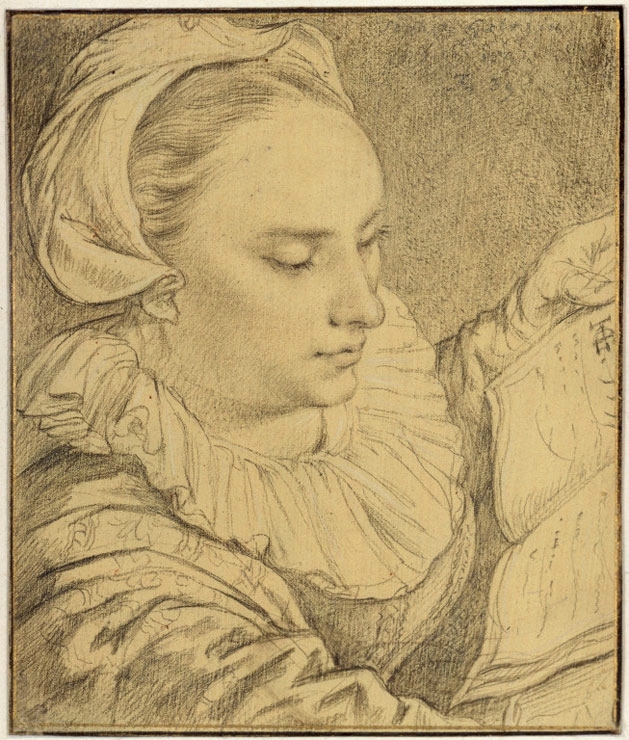 Hendrick Goltzius, Young Woman Reading a Book (Portrait of Sophia Goltzius, Sister of the Artist? ), Seen from Above, 1591, metalpoint (probably silverpoint) on prepared paper or parchment, Staatliche Museen zu Berlin, Kupferstichkabinett © bpk, Berlin/Kupferstichkabinett, Staatliche Museen/Jörg P. Anders/Art Resource, NY. Museum Boijmans Van Beuningen, Rotterdam, Koenigs Collection. 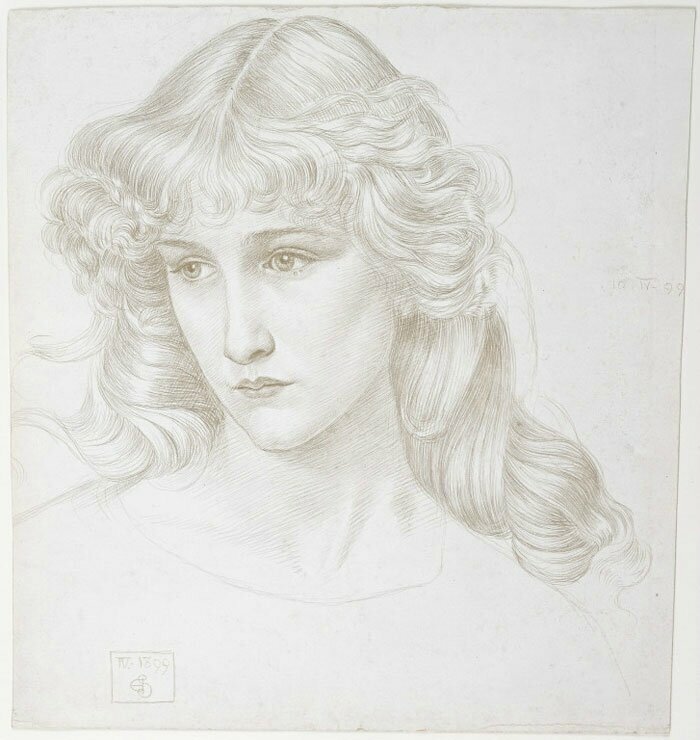 silverpoint with graphite and scraping on prepared paper, On loan from The British Museum, London, Donated by Edith Holman Hunt © The Trustees of The British Museum, London. 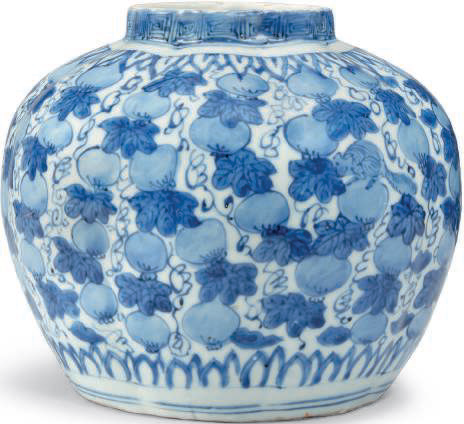 The Huntington Library, Art Collections, and Botanical Gardens, San Marino, California, Purchased with funds from the Schweppe Art Acquisition Fund. metalpoint (probably silverpoint) and graphite (?) on prepared paper, The Museum of Modern Art, New York, Purchase, 1950 © 2014 Artists Rights Society (ARS), New York/VG Bild-Kunst, Bonn. 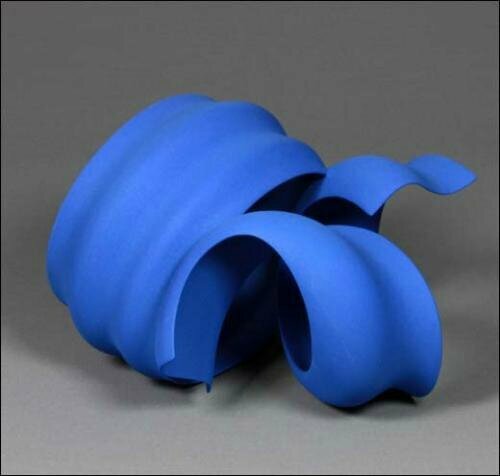 Digital Image © The Museum of Modern Art/Licensed by SCALA/Art Resource, NY. The exhibition concludes with a section on modern and contemporary artists. Sometimes inspired by the drawings of their predecessors, artists as varied as Joseph Stella, Jasper Johns, and Bruce Nauman have also pushed the medium in new directions, experimenting with unexpected drawing implements, subject matter, and techniques.